The heart of Crown Prince finally exposed. 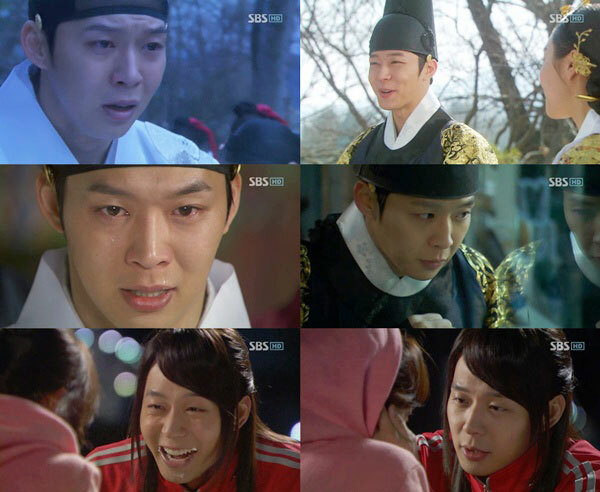 On episode 12 of SBS’s “Rooftop Prince” aired on the night of April 26th, 2012, Park Ha (Han Ji Min) finally understands the love of Lee Gak (Park Yoochun). Before then, in order to resolve the murder of Crown Princess, the brain of Lee Gak had always been turned toward Se Na (Jung Yoo Mi). Now, the ‘heart’ to Park Ha is changed. In this regard, viewers have paid attention to their love have expressed the feeling of pity. 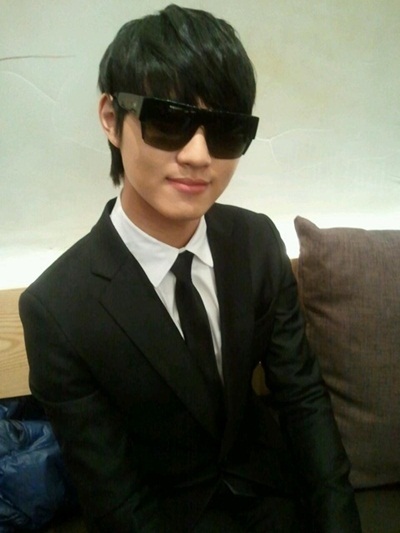 In the end of episode 11, Lee Gak said to Park Ha, “Don’t love me,” flatly rejected her confession, causing the sad mood to reach its climax. The man of Joseon Dynasty, Lee Gak, is relatively weak in the sense of the expression of love when comparing to modern man. Lee Gak also gradually ignore the past culture of ‘man and woman don’t sit together before age of 7,’ gradually become always abuse and refute Park Ha, “It seems that you are thinking nasty things,” but such a Crown Prince has changed. With the engagement of Lee Gak and Se Na around the corner, Park Ha who knows the face is in tears, “Always follow your mind,” and turns her head. At this time, Lee Gak grabs the hand of Park Ha and kisses her, confirming the hearts to each other. One by one interwoven and intricate Crown Princess murder incident and the love line of two protagonists whom finally confirm their love, the two major twists in the drama “Rooftop Prince” caused a climax. In the toss-up Wednesday and Thursday drama battle, the focus is on whether such a decisive effect could propel “Rooftop Prince” to the top again.